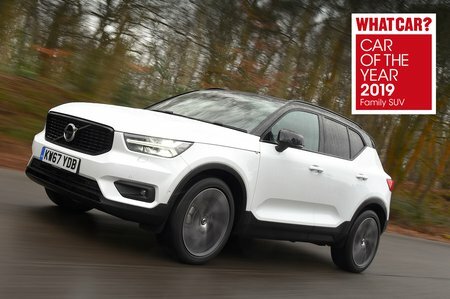 Volvo XC40 2.0 T4 Momentum Pro 5dr AWD Geartronic 2019 Review | What Car? What Car? will save you at least £1,344, but our approved dealers could save you even more. For the small premium over the Momentum model, this adds adaptive LED headlights, heated front seats, an electrically adjustable driver’s seat with memory function, headlight washers, a heated windscreen and power-folding door mirrors. If you want petrol power and the T5 sounds a bit too hot but the T3 sounds a bit too cold, is the T4 a perfect fit? Well, it's certainly smoother and far punchier than the T3, so is definitely worth considering, but the T5 is quicker and smoother still. Real-world fuel economy isn't very good, though, proving to be barely any more efficient than the thirsty T5. Only available with an automatic gearbox and all-wheel drive.